These are chewy dropped cookies with a wonderful brown-sugar flavor that is going to delight your guests this Christmas season. 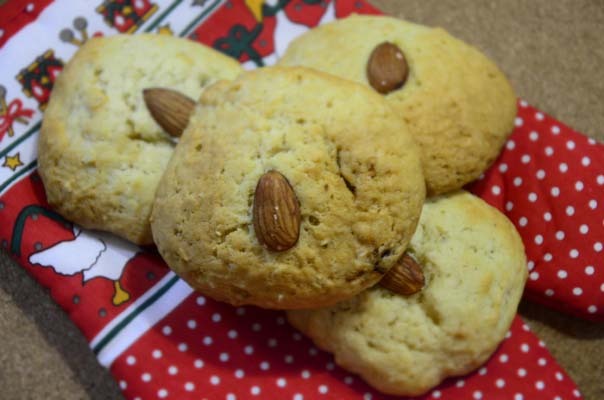 For you almond lovers out there this might become your favorite cookie, it’s definitely one of Santa’s favorite cookies. Looking for a lactose free version? Replace the 1/2 cup of milk with a 1/2 a cup of water. 1. 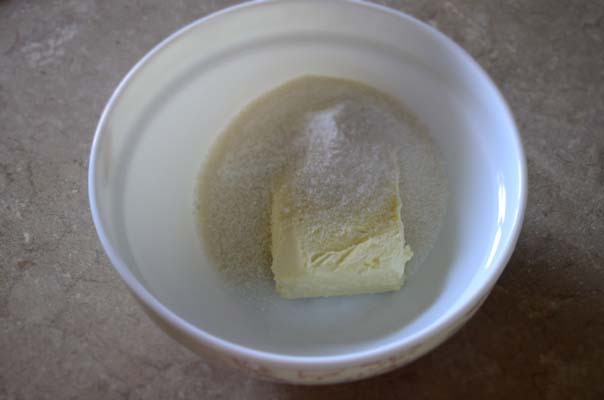 In a bowl, mix the butter at room temperature and sugar, stir until smooth and fluffy. 2. 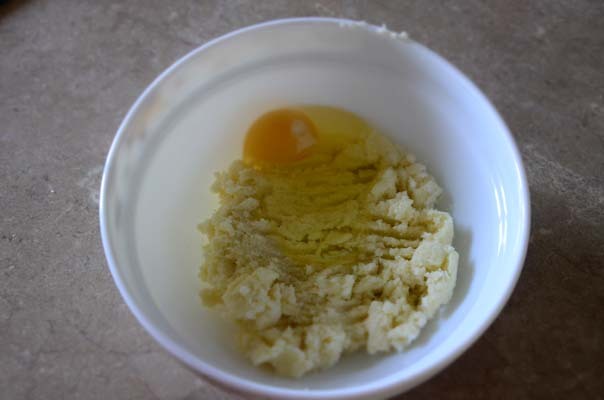 Add eggs, vanilla sugar and salt to the butter mixture and mix thoroughly. 3. Add half the flour and mix well. 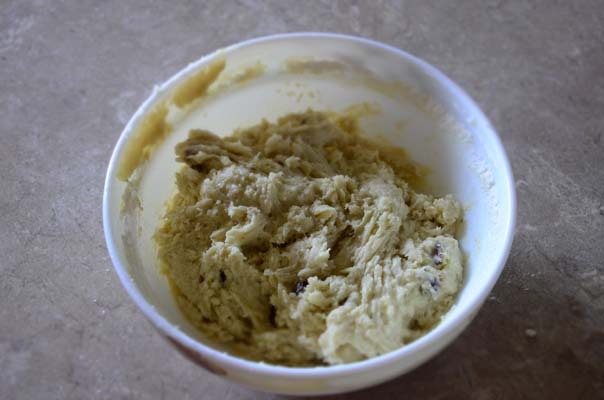 This will get your dough dense, but not as dense as necessary. 4. 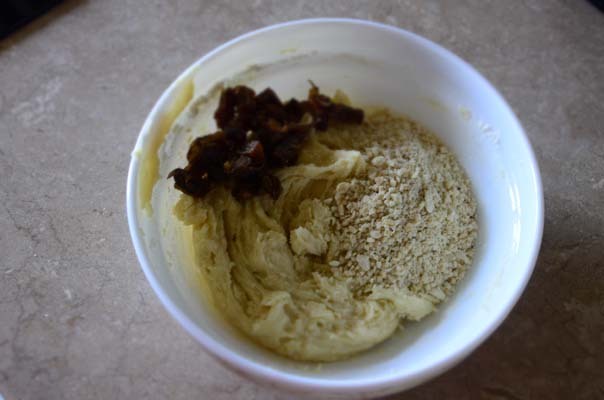 In the dough, add milk (or water if making your recipe lactose free), crushed nuts, candied cherries and dates. Stir until smooth. 5. 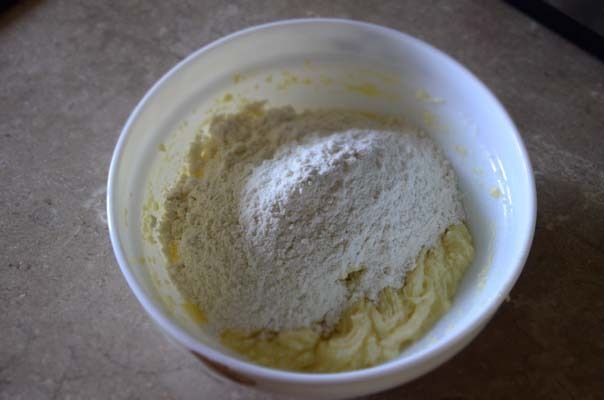 Add the second part of the flour and knead the dough. Put it in the refrigerator for 30 minutes. 6. Cover the baking sheet with baking paper or a silicone mat. 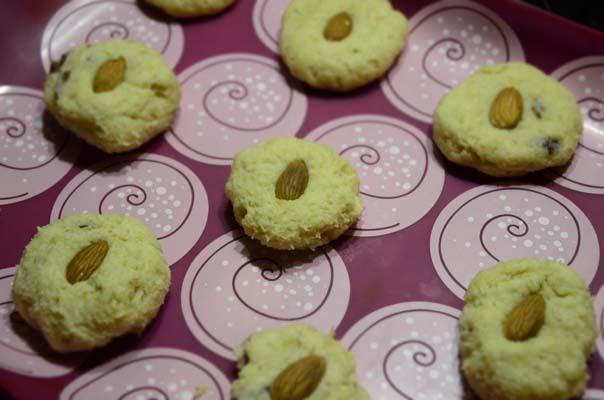 Spoon the cooled dough and decorate with almonds. Bake for 15 minutes at 350F/180C.